QuickFolders 4.11 supports the latest version of Thunderbird - this meeans the next ESR period (2018-2019) has started! A Search box opens where you can type a folder name and hit [Enter]. Or hit the [Down] key or mouse to select from the list of suggestions. If exactly one matching folder is found Thunderbird will jump to it immediately. If multiple folders match a dropdown will show. Selecting the folder (or tab) name will jump to the folder. Select Find Folder from the menu again if you want to hide the search box. Simply drag some mails up to the quickJump button (or use the configurable keyboard shortcut SHIFT+M in QuickFolders Pro), and then type the name of the target folder. The name is shown in red to indicate that mails are going to be moved. 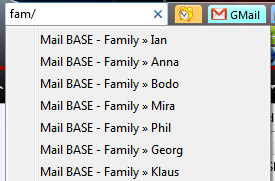 Note that you can gather mails multiple times and even from different folders - the mails won't be moved to the destination until you click on the suggestion on the search box. Clicking a folder name will move the dragged emails to the new destination and complete the quickMove operation. You can also use this button for jumping to a folder by clicking it (quickJump). You can open the emails in a tab by clicking them. this way the signalling of important states (such as the current folder)	can be made to stick out so it can be located much more easily. Also the new architecture of palette options makes it easier to add different palettes in future versions. Older versions can be downloaded here, although I do not recommend it; also you can download some of the betas that I am generating when I fix ongoing issues. Some of these might also be on bugzilla as patches. All dates are displayed in UK format: dd/mm/yyyy - you can request any version that is marked as not released or any old version listed; just send me a personal email from the quickfolders options dialog / on the Support tab - [(Jump to Screen Shot)]. quickMove: Improve remembering all entered parent folders when only single match is found. 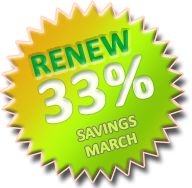 SPRING RENEWAL 33% off in March. 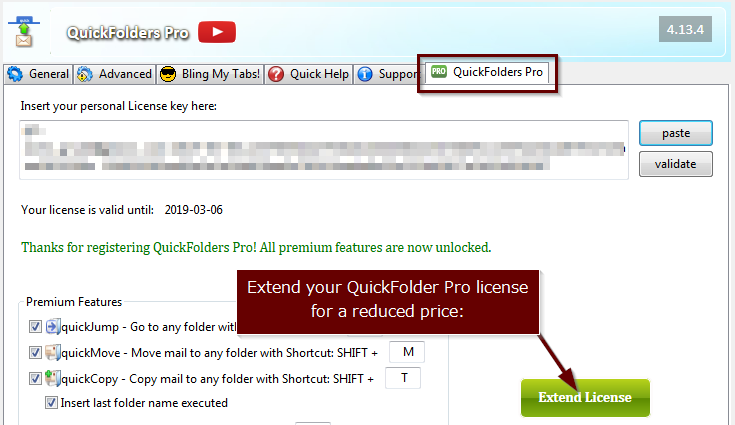 Renew or extend your license and pay 9$ instead of 12$ for renewing your QuickFolders Pro license. As of 26/02/2019, my web shop simplified the ordering by removing unnecessary address and telephone forms. You can extend or renew your license directly from QuickFolders - it will transmit your existing license key in order to create the new license. Simply use QuickFolders Options / QuickFolders Pro tab and the Extend License button. Support the future of QuickFolders and keep enjoying unlimited Premium Features. Simply click on Renew License on the QuickFolders toolbar. You can also extend your license (without losing a single day) by clicking on the Extend License button on the QuickFolders Pro tab up to 30 days prior to your previous license expiry. As a thank you for my loyal supporters: if you missed the expiry date I will still give you a whole year in the renewal even if your expiry date is in the past. QUICKFOLDERS PRO - END OF MARCH SALE! 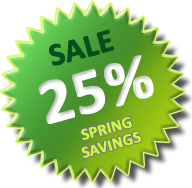 Get the Spring Sale Price for 25% off from March 25th to April 6th. As of 26/02/2019, my web shop simplified the ordering by removing unnecessary address and telephone forms. Support the future of QuickFolders and enjoy unlimited Premium Features. You can purchase a license from QuickFolders options, using the QuickFolders Pro tab. It's super easy and helps future proof this Add-on. Use QuickFolders Pro on as many Thunderbird installations as you like as long as it has your registered email address on it. Also moved create new subfolder entry to bottom. When a folder is moved from one tree location to another in a synchronised IMAP account, the folder location (URL) is not updated in the QuickFolders Tab pointing to the moved folder. Expected behavior (which works in POP mail) is that QuickFolders automatically updates the Tab to point to the new location. Workaround: move the folder from the tree to a QuickFolders Tab (or folder submenu thereof) while holding down the SHIFT key. Fixed: No context menu was shown When right-clicking the current folder tab in Thunderbird 52 unless user executed double click . 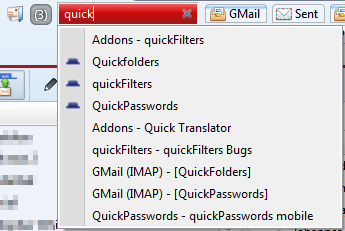 The icon will be visible on the QuickFolders Tab and also in the folder tree for easy reference (Thunderbird only). [Bug 26644] High CPU usage caused by "Renew License" button. "Classic" design: Shown on Thundebird 59 and before + all other Mail Apps. Toolbar toggle, New Folder, Skip unread folder. QuickFolder Pro users: Your license is expired if you see this box! 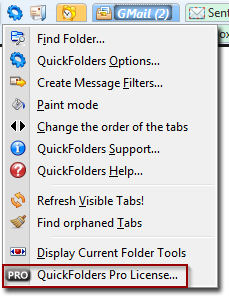 The QuickFolders Toolbar and Options Window will show renewal links and buttons. Using them, you can buy a new license at a reduced price. Added minimum height and top padding settings for better styling flat style buttons in new Thunderbird photon look. 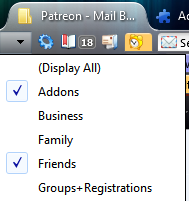 Redesigned toolbar icons for Thunderbird 60's Photon compatibility, which also better supports dark backgrounds. New Buttons: [QuickFolders Toolbar toggle], [New Subfolder], [Skip to Next Unread Folder]. [Bug 26473] Added toolbar button to create subfolder (within the current folder). Added option for simultaneously creating a QuickFolders Tab. Add-ons from 3rd parties will no longer operate in Postbox, but we may opt to roll certain 3rd party add-on functionality into Postbox in the future. 4.9.1 Skip Unread Folder buttons: Updated Icons, made Current Folder Toolbar button visible for users of all versions, and added premium feature notification. Fixed [Bug 26439] "Thunderbird 57.0 beta 1 hangs on start with QuickFolders enabled"
Fixed [Bug 26387] 'Color is null' error in Linux when options window is opened. From Firefox version 57.0 on, Mozilla has terminated legacy based addons. Here is a Mozilla blog post explaining their plans. Although from Firefox version 57 no new XUL addons will be accepted, but I will still be able to maintain / update my existing Firefox addons, until Mozilla decides that they will not be supported by Firefox anymore. Fixed [Bug 26346] On drag & drop, mouserollovered tabs' submenus do not close anymore. This was caused by falsely renaming a function to onDragEnd because of impending changes in the Mozilla main code base; unfortunately the convenience wrapper nsDragAndDrop in Thunderbird's comm-central database does not yet follow the new naming conventions and checks for the existence of a function onDragExit in the drag observer. [Bug 26268] Increased maximum width of popup menus for reading long folder pathes. Fixed [Bug 26336] Confirmation to "Switch to Domain license?" is hidden behind options dialog. [Bug 26224] Thunderbird 50: replaced old dragdrop events with drop events, which broke dragging mail and folders. Premium function for copying and pasting the folder tabs definitions. Copy your tabs to the clipboard and edit the list in an external editor. Great for account migrations. [Bug 26227] If none of the keyboard shortcuts in general settings are active, the QF Pro shortcut keys for quickJump / quickMove did also not work. [Bug 26150] quickJump / quickMove - create child folder command [Thunderbird / SeaMonkey only]. Enter parent folder name (or partial) then press slash [/] to type child folder. See video above for a detailed demonstration. 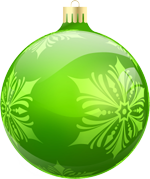 Get QuickFolders Pro - New Year Special Offer: 30% off! 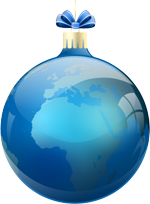 During January 2016 you can get 30% off both Personal Licenses and Domain Licenses. 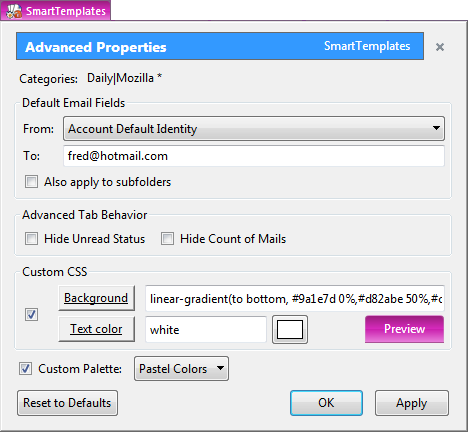 Set default To Email address and From Identity for creating new mails when in a folder. 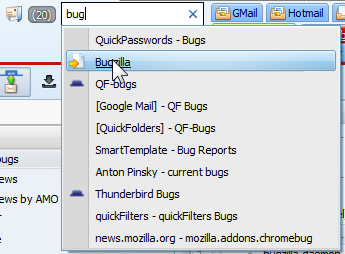 For every QuickFolder Tab, add a default email address for sending emails To and a default identity. This makes it easier when we store email from different identities in the same mailbox (e.g. Local Folders). [Bug 25682] Allow displaying multiple categories at once. Once this feature is enabled, multiple tab categories can be selected using the SHIFT key. Settings Dialog: now remembers the last tab even if closed with Cancel button. 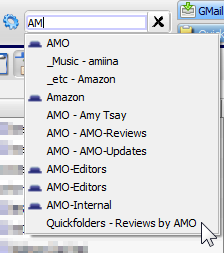 Hidden Tabs / Folder Aliases: You can now hide a QuickFolder Tab by selecting the Category "Never Show (Folder Aliases)". This means you can use the name of the Tab in the quickMove / quickJump functions for quickly navigating without using the original Folder name. 4.2.1 - fixed registration buttons for non-English locales; disabled donation screen for Pro users. [Bug 26019] Premium feature - Added "Reading List" for creating a bookmark list of important mails. Just drag your important mails on this button: , and read them later. Use shortcuts SHIFT or CTRL to open in new window or tab. Right-click to remove bookmarks. The list is stored and will likely support additional items other than emails in the future; your suggestions are always welcome! [Bug 26051] Premium Version only: replaced rotating icons. Note: I do not own any rights to these, I am utilizing them under "fair use", they were mostly scraped from web sites, which is something you can also do yourself. If you want me to remove any of the ones in this archive, please contact me an I will do so. 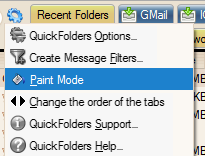 [FR 25825] Added quickMove feature: a button for moving mails to any folder by entering the folder name. Drag the mails on the button, and start typing the destination name. 2. Type... as you type more letters, the suggested list will get shorter. Also use the same button by simple clicking to jump to any folder quickly. New Night Vision Palette for supporting dark themes. note: 3.15 beta 1 is equivalent to 3.15 prerelease 300 (higher prerelease numbers are newer versions). Improved and revised Pastel colors. Fixed [Bug 25608] (and [Bug 25610]) In single message view, QF tabs should do something useful. You can now open a new folder tab from a single message window by clicking on a QuickFolders tab, without loosing your msingle message view tab. 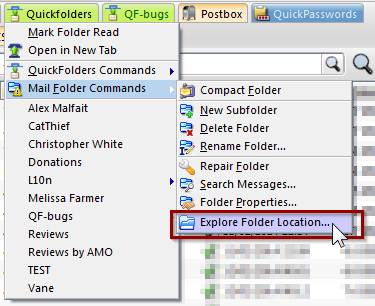 If the folder is already open in a Thunderbird Tab, QuickFolders will switch to it. Use the config setting extensions.quickfolders.behavior.nonFolderView.openNewTab to suppress opening new tabs and always open folder in the first tab instead. Changed default setting "Display Shortcut Number" to false as default to remove clutter when installing QuickFolders. Fix [Bug 25683] - Supress Line Break if Tab is first. This is a maintenance release with important bug fixes; if you upgraded from 3.11 or an earlier version, please skip down to the next section. If you are trying to customize your colors with the options in "Bling my tabs", this version behaves much more predictably than 3.12. Simply start typing the folder / tab name. The menu will fill with matches accordingly. Once you see something you like, press down to select the folder to jump to. Press Enter to go to the folder. Press Escape to close the search box. 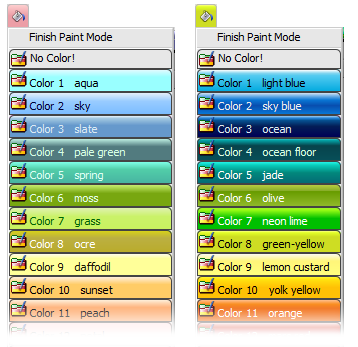 Switch on "transparent" and select white background on selecting "no color" from the menu for Uncolored Tabs. Transparent here actually really means translucent and makes the selected background color shine through with 25%. This is a subscription model for advanced features, which is funding future enhancements of QuickFolders. Some of these features can be tried out in the free version and may be slightly restricted - they are also used to promote the Pro version with a notification box. For more information contact me via the email link at the bottom of the page. Watch the video explaining quickJump and quickMove. A Search box opens where you can type a folder name and hit [Enter]. You can also type "/" if you know only the parent name and want to list subfolders. Here I am listing all children of family. [Bug 25533] - SeaMonkey 2.23a1 - throws "ReferenceError: EventListener is not defined"
This adds a lot of productivity when you work with multiple Thunderbird tabs open - during a session, each will now remember the selected QuickFolders category. This makes it possible to work with and even move mail between QuickFolders in different categories at the same time. 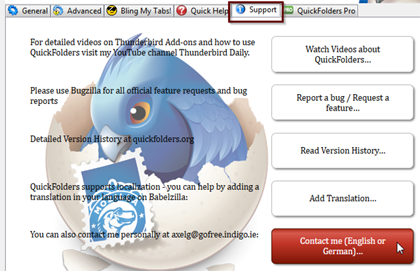 Also, remember that you can use CTRL+click to open a new Thunderbird tab from a QuickFolder. in "bling my tabs" background colors now corresponds to last selected palette item. This was one of the most difficult releases in the history of QuickFolders- I built and tested 476 (!) different versions before release. Most of this went into the coloring piece. Use QuickFolders for adding the top folders to the bar. 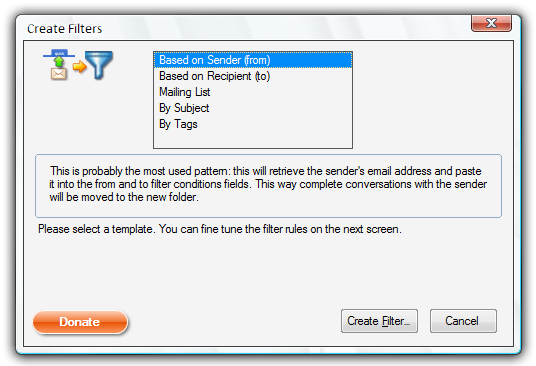 Create some Message filters by using QuickFolder's "Filter Teaching" tool. I have provided some detailed instructions here. 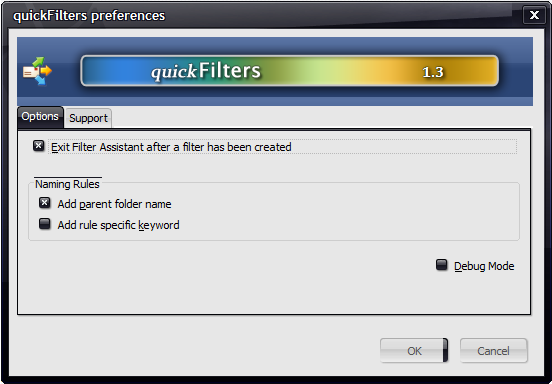 For even more filtering power, please dowload my new add-on quickFilters which integrates fully with QuickFolders and allows automatic creation of filters by dropping emails into the folder tree. Use the "Copy Sent to Current" Add-on so you can answer emails directly from their filed away location; your emails will neatly stay within the conversation of whoever you are corresponding with. New option to hide message navigation buttons ([P]revious unread, [N]ext unread, next [T]hread) from current Folder bar, as there are keyboard shortcuts ([P], [N], [T]) for these. Feature: [Bug 24767] Use Right-click+Control to show QF commands popup. Feature: [Bug 24766] Support MOVING folders by dragging them from foldertree to a QF location and holding down SHIFT (unfortunately at the moment this works only on Windows - somehow Tb doesn't detect the SHIFT state in Linux). - this feature will be localized in the next maintenance release. Folder categories - added ability to drag existing QF tab to a new Category, without the message "Folder already has a tab"
[Bug 24864]: If the extension Rise Of the Tools is installed, the error "Quickfolders.updateUserStyles - error TypeError: ss.href is null" will be displayed. There will be a fix released shortly, in the meantime please disable Rise Of The Tools or download the prerelease attached to the bug. You can then customise it for your purposes. 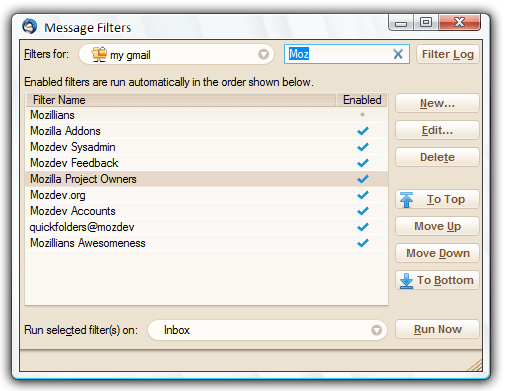 Creating filters keeps your inbox clean. When using the "Copy sent to Current" extension, the filter will also move your replies from the Inbox into the target folder. Thread Tools - added "mark thread as read" command on click. This is extremely useful when reading newsgroups or lots of group mail. The version history for 2.13 and older can be found here. 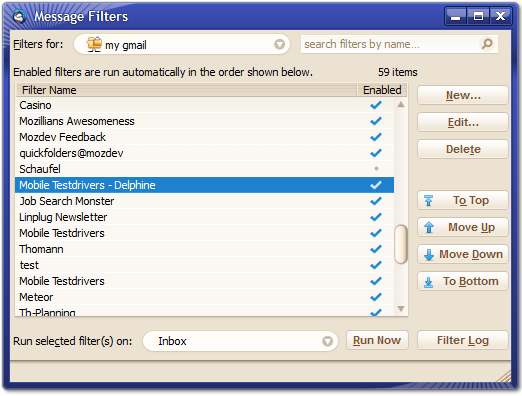 quickFilters (Thunderbird) Quickly generate mail filters on the fly, by dragging and dropping mails and analyzing their attributes. this is a very neat and quick way to retrieve and use a growing number of passwords, without displaying them on screen or having to re-type them. 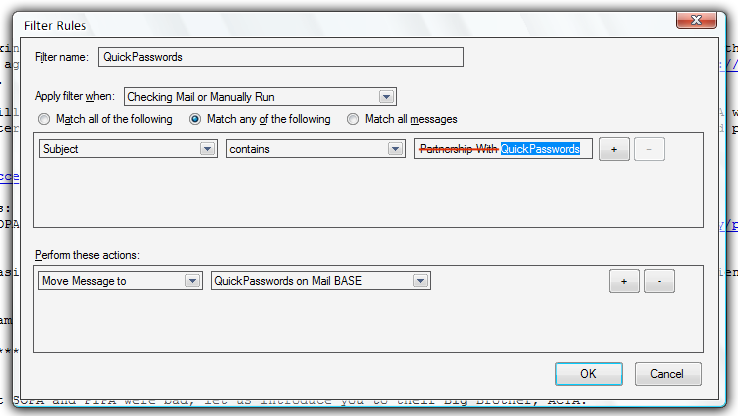 Also supports renaming of multiple passwords!